They didn’t mean to hurt anyone. Being the stand-in father to a teenage boy is harder than John ever imagined. When Billy and his girlfriend, Rashmi, pull a political stunt at school, the blowback puts his friendship with John to the test. Hiding from the police and media, Billy and Rashmi run away to stay with her Grandpa Dave, only to be faced with something far worse. Dave is busy trying to save his own skin. What does she really know about her grandfather? After a botched bank robbery, Dave is being hunted by ruthless killers. They’ve left a trail of mutilated bodies across Europe. Now their hunt for gold and vengeance has brought them to Sydney, and they don’t care how many have to die. Can John find Billy and Rashmi before the killers do? 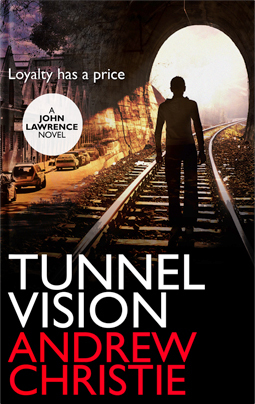 This second John Lawrence novel is an action-packed thriller that will take you on a twisting, white-knuckle ride through a landscape of greed, fear and revenge. ★★★★★ Andrew Christie is my new fave author. ★★★★★ A thrilling read. Well-drawn characters and a fast paced narrative. ★★★★★ A great read – good plot, and believable characters. ★★★★★ Full of action and marvelously sinister villains.